I don't make a habit of buying the same bottle twice. But I had broken that habit when I spotted this bottle of Widmer Brothers Lemongrass Wheat Ale at my then local beer stop. It was something I had picked on a whim about a year ago. I remember taking a picture of it. I remember really enjoying it. I remember thinking "If I had a blog, I would write all about this." Well guess what? Now I have a blog, and the best part about that is people actually read it! So when I saw it I grabbed it up quickly and went about my business. I’d like to say something refined like “I buy two of every bottle, one to sample now and the other to age”; thus, I have a reason for getting around to drinking this beer. It really makes a lot of sense, and I think its a habit I am going to get myself into! And lets go! It comes in a box, A BOX! I am feeling damn fancy! I do think that one of the selling points for me, is the nice packaging. When I'm spending $10+ dollars a bottle, I like to be made to feel fancy. 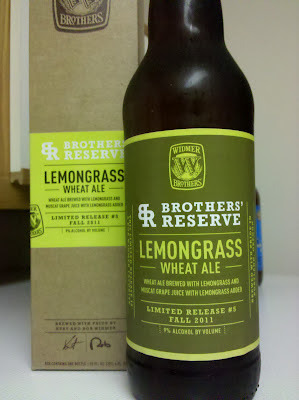 Thank you Widmer Brothers, you succeeded! As always, you have to start somewhere, and you cant drink without a good pour. And what a pour! A nice, cloudy beer color with a beautiful, fluffy 3.5 finger head. And it was a brilliant, pure white. Beautiful looking beer. 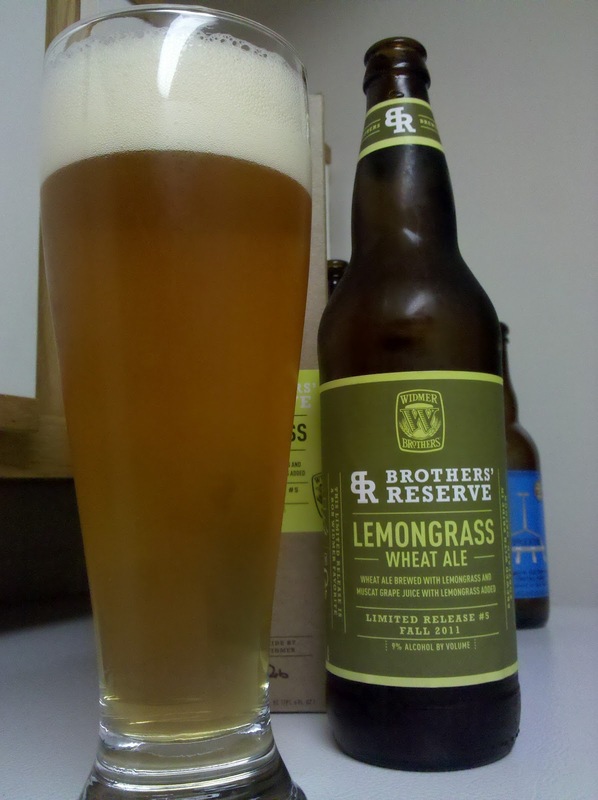 Catching a whiff, it smells like lemonade, a light touch of malt and grape. The muscat grape juice kinda has me excited, and was another reason I picked this up initially. This is a wheat?! Ha! No way, this is a sour. This is puckery! Very sweet and sour! Ok, I know its not a sour, but still. 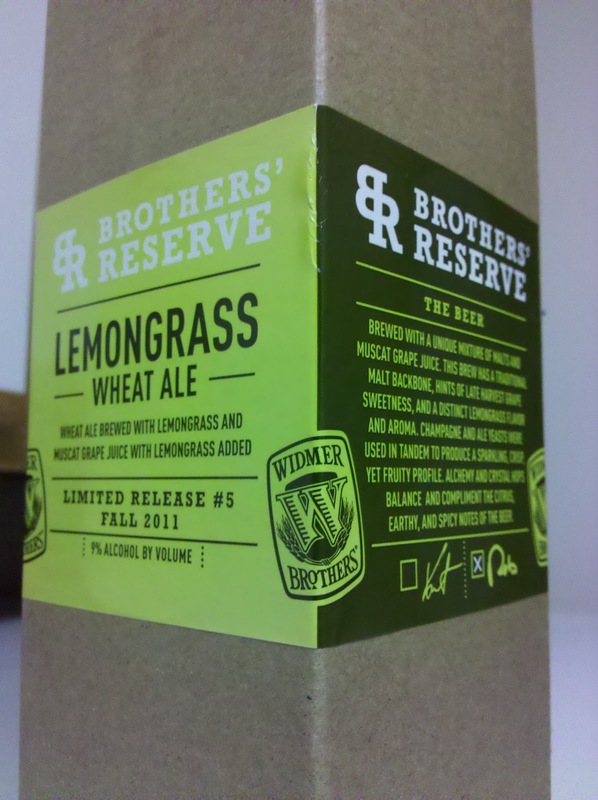 If it was wearing a fake mustache, It could sneak into a Sour Beer party. 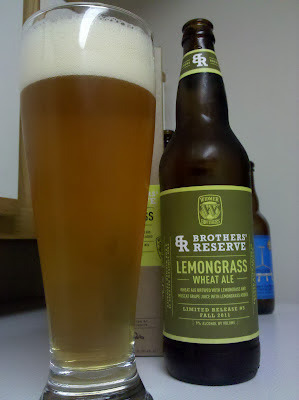 Even with the strong sour/sweet, this beer has a nice, light feel to it. Tiny little bubbles massaging my palate and making me all warm and fuzzy. I would definitely buy this beer again, and If you see it, I would suggest you try it also. It doesn't have the highest rating on BA, bringing in a score of 74. But who really cares what ratings say? I don't!